Anodized mirror aluminum (bright aluminum, specula aluminum) is one kind of aluminum with bright surface as mirror. 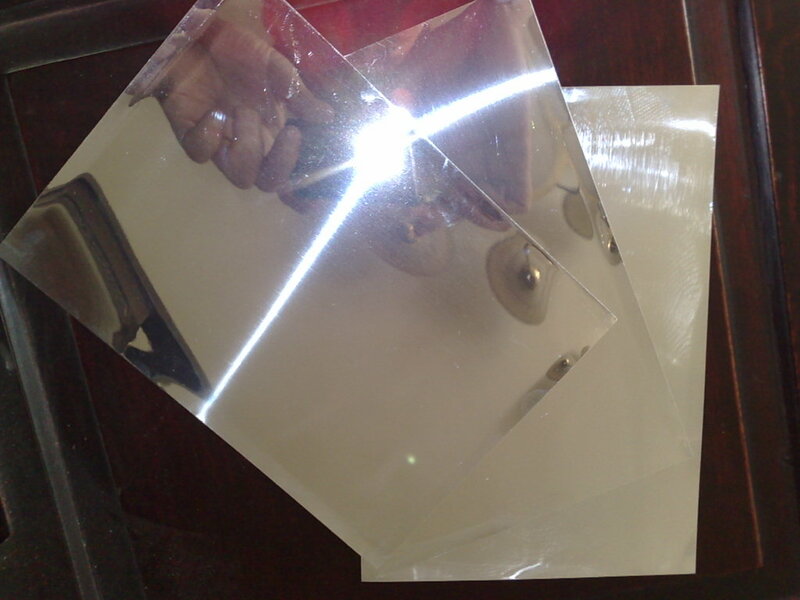 Lighting reflector, decoration, solar energy collector, nameplates, cosmetic packaging, etc. Top-grade quality, refined and luxurious outlook, sparkling surface. Greatly reduce the surface treatment process, improve conformity rate, thus effectively reduce cost. Lower proportion, only 1/3 of stainless steel. Environmental, toxic- free, fire prevention. Able to be molded and bent part is broken-free. We can provide standard size coil, and can also cut/spilt into customized sizes. Regular color: silver, titanium, red and black. We can provide multi-color under customer's requirements. The mirror aluminum sheets are Anodizing aluminum sheets taking on a mirror effect by rolling, grinding and a variety of methods. Usually abroad the mirror aluminum plates are rolled to produce roll materials or sheets; The mirror aluminum sheet is just a general term, and in accordance with the surface polish level, it can be classified into three types, i.e. 800 standard polish, 850 high polish and 890 super-high polish; while according to the surface processing methods, it can be divided into aluminum sheet 800 series with oxidized polish and aluminum sheet R series with unoxidized polish.